← You really never finish a book – it just gets published! Just got the cover graphic from the illustrator (Dan House) – very pleased. 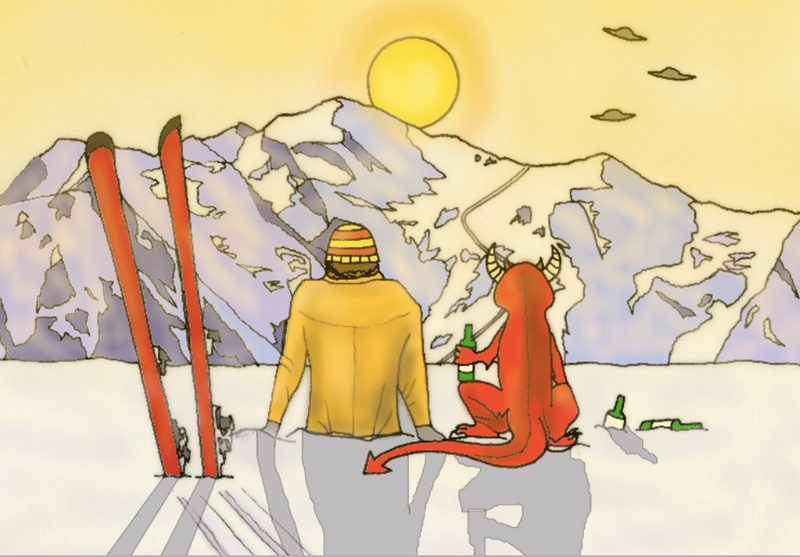 Of course you need to read the book to understand why it’s so perfect for Skiing With Demons. It shows the Apres Aliens arriving, a backdrop of Mt Blanc and one of my skiing/drinking companions. What do you think ? This entry was posted in Uncategorized and tagged divorce, drinking, midlife crisis, Morzine, morzine chalet, ski demons, skiing books, skiing holiday. Bookmark the permalink.